Albany point State Park is a Brownfield Project and planned to a re-conversion of a 142 acre Landfill site into an interpretative Recreation State Park. 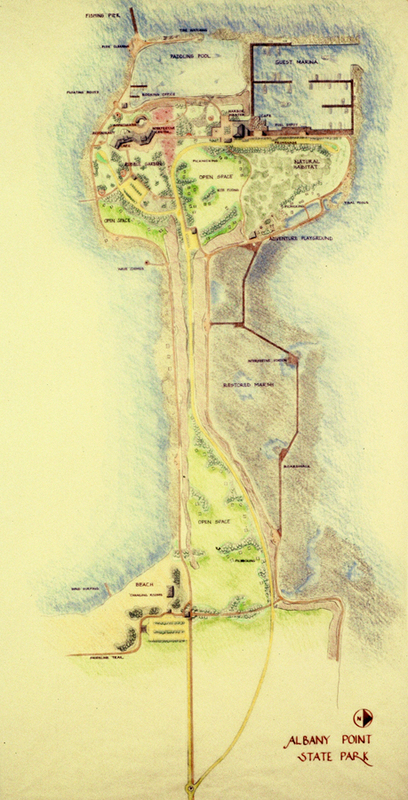 The Park is planned to be located in the City of Albany, Alameda County and bordering the San Francisco Bay. The Overall Concept is of an ecologically and socially oriented design that is educative. Program Elements include a Restored Marsh and Bird Sanctuary, tidal pools and adventure playground, ‘landfill; sculpture garden, Marina, pier, amphitheater and kite-flying lawns.